Drak Yerpa is about 18 miles to the norhteast of Lhasa, it is probably not of great interest for the average traveller, but for those with a particular interest in Tibetan Buddhism, Yerpa is one of the holiest cave trtreats ever. At one time the hill at the base of the Cave— dotted cliffs was home to Yerpa Monastery. The history of Dark Yerpa includes many of the great names responsible for the establishment of Buddhism in Tibet Emperor Songtsen Gampo meditated in seclusion here: Guru Rimpoche and several of his disciples also meditated here. Here Jowo Atisha chose to preach extensively. Although the ancient Kadampa Gompa has been destroyed, the geomantic qualities that made Drak Yerpa a major power place still remail and still attract hermits to its caves. Yerpa, also called Brag Yer-pa, Drak Yerpa, Dagyeba, Dayerpa or Trayerpa, is about 16 km northeast of Lhasa on the northern bank of the Kyichu River. Walking for another 10 km, you then reach the spectacular limestone cliffs of the Yerpa Valley, also the location of one group of the famous ancient meditation caves in Tibet. The other famous group of meditation caves in Tibet is located at Chim-puk Hermitage in Lhokha. In the Valley are a number of small Drak Yerpa temples, shrines and Drak Yerpa hermitages. Also, the cliffs contain meditation sites, some of which are thought to be the earliest known meditation sites in Tibet. There are some of them that can be dated back to pre-Buddhist times. Some more famous are connected with Songtsän Gampo, first emperor to unite Tibet. The Drak Yerpa temple here was founded by Monza Triucham, his Tibetan queen. 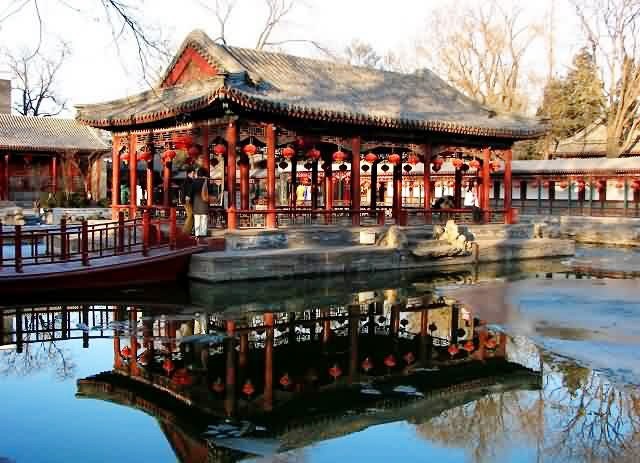 The Prince Gong Mansion, also called the Prince Kung’s Mansion, is a museum located in the western part of central Beijing, China, north of the Shichahai Lake. Consisting of large mansions in the typical siheyuan layout and gardens, the Prince Gong Mansion is known as one of the most ornate and extravagant residence compounds in all of Beijing. The buildings at the forefront of the mansion are on three axes, and apart from a two-story building consisting of ninety-nine and half rooms, all are in traditional style. Duofu Study is on the eastern axis, and its structure is in the Ming style. On each of the two side axes are four courtyards, the second courtyard on the western axis being strikingly spacious. In the third courtyard, called Xijin Studio, there is a seven-roomed, exquisitely furnished hall. All the beams and pillars are made of nanmu, and its sandalwood partitions are reminiscent of those found in Ningshou Palace in the Forbidden City. Between the buildings and the rear garden there stands a 165-meter-long two-story building. The distinctive halls, platforms, houses and pavilions, together with waters and plants have created delicate and elegant scenery. 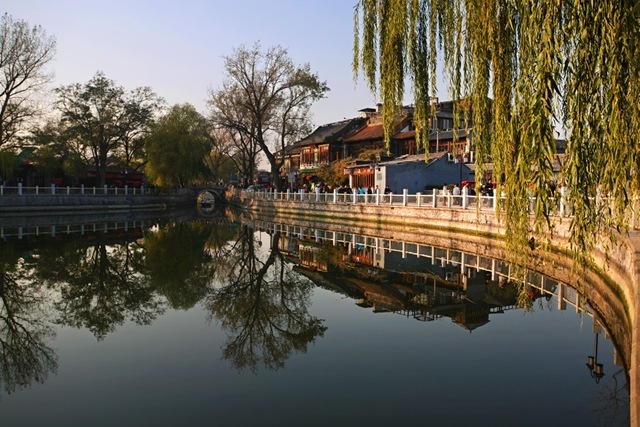 As a masterpiece of classical private gardens, the garden of Prince Gong’s Mansion is worth a good enjoying. Tashi Lhunpo Monastery is seat to the Panchen Lama, the second most important spiritual leader of Tibet. In 1447 the Monastery was founded by His Holiness the 1st Dalai Lama, Gyalwa Gendun Drup, in Shigatse, Tibet’s second largest city. 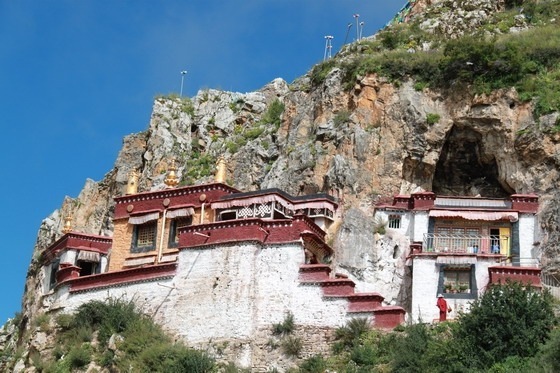 It is one of the four great monasteries of Central Tibet and was supervised and looked after by the Dalai Lamas and Panchen Lamas of the Gelugpa, or Yellow Hat tradition. It has the glory of producing thousands of renowned scholars in the field of Mahayana Buddhist Philosophy and Tantra. During the lifetime of the 4th Panchen Lama, Lobsang Choekyi Gyaltsen, there were more than 3,000 monks in the Monastery and by 1959 there were 5,000, with another 2,000 monks affiliated to the monastery living outside Tibet. The Communist Chinese invasion of Tibet in 1959 and the Cultural Revolution from 1966-80 both wreaked destruction on Tibet’s monastic institutions, which lost many precious scriptures, statues and images. Many monks were killed or imprisoned and only 250 were able to follow the Dalai Lama into exile. The monastery was founded in 1447 CE by Gedun Drub, the nephew and disciple of the famous Buddhist philosopher Je Tsongkhapa and later named the First Dalai Lama. The construction was financed by donations from local nobles. In 1791 the monastery was attacked and looted by an army of Nepalese Gurkha warriors but were driven out by the Chinese who at the same time strengthened their control, over the temple and Tibet. Choekyi Gyalpo, the 11th Panchen Lama according to the government of the People’s Republic of China, has been enthroned there, while Gedhun Choekyi Nyima, the 11th Panchen Lama recognised by the Dalai Lama, has been held under “protective custody” by the Chinese authorities since 1995. Tashilhunpo in its prime had over 4,000 monks and had four Tantric colleges each with its own Abbot. After the death of a Panchen Lama, these four abbots led the search for his infant incarnation and one of them always acted as a prime minister of Tsang under the control of the Dalai Lama in Lhasa.